Sixteen expert judges are seeking bold, original ideas in Ocean’s annual search for the best digital out of home creative concepts. 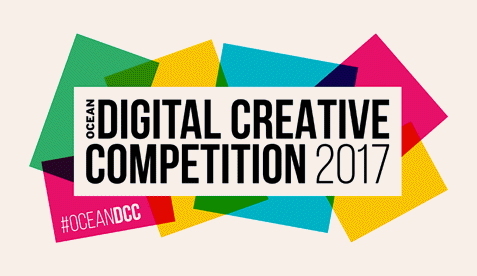 Brands, agencies and creative teams now have until September 8, 2017 to enter the eighth annual digital creative competition. Ideas that truly raise the bar will win a share of a GBP 650,000 prize fund and the chance for those concepts to be showcased across Ocean’s iconic UK DOOH locations, or via The Alliance network to Europe (Madrid), the USA and the Far East (Hong Kong or China). The 2017 judges are Gill Reid, board director, out of home, Mediacom; Gareth Orr, head of OMD Create; Robin Behling, Chairman of Feref; Anna Carpen, executive creative director, 18 Feet & Rising; Neil Richardson, creative director, Leo Burnett; Glen Wilson, managing director, Posterscope; Stuart Taylor CEO of Kinetic; Chris Marjoram, managing director of rapport; Aaron Goldring, executive creative director, Partners Andrews Aldridge; and Andy Tilley, managing partner and chief strategy officer, Talon. Also joining the panel are Bill Moss, director of brand ventures and mall retail, Europe Westfield; Claire Beale, editor-in chief of Campaign; Sophia Amin director of PR and communications, IAB UK; Adrian Cotterill, editor-in-chief of DailyDOOH; Vasiliki Arvaniti, portfolio manager of Land Securities; and Ocean CEO Tim Bleakley. Advertising concepts can be devised for UK audiences, or to reach much broader global audiences spanning three continents (Europe, North America and Asia). Two of last year’s show-stopping winners were WCRS and the Born Free Foundation who turned Ocean screens into virtual captive Orca tanks  to mark World Orca Day, and 18 Feet & Rising with #MarchforGiants, a herd of digitally generated elephants which transcended global borders to raise money for conservation work . Both campaigns delivered impressive results. Other previous winners, including WCRS and Women’s Aid and British Airways, went on to win coveted Gold Cannes Lions for their submissions. It is free to enter Ocean’s competition (details here) . The winners will be announced at a prestigious industry awards ceremony at the IMAX in London on October 5, 2017.